Tennis player’s workout includes number of strength training, weight-loss and fitness exercises, which are all designed with just a single purpose of improving tennis performance. Tennis is one of those sports which involves workout which includes exercises which are about preventing injury, improving the body agility and about increasing power. Strength training is of immense importance for the prevention of injuries and optimum performance. Fitness exercise brings about smooth movement, great agility, and flexibility. 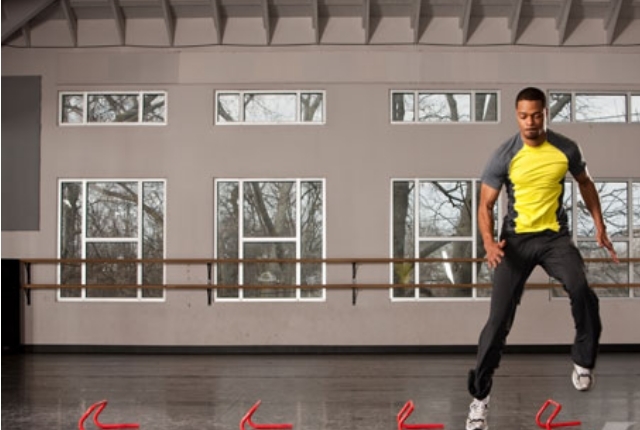 These exercises help in building flexibility for the upper and forward drive. This kind of serve needs great balance and hip strength. Single leg squats help in improving stability, strength and balance. Stand as you keep your arms extended right in front of you. You can balance on a single leg as you keep your opposite leg extended and straight. It will go forward as high as you can. Now, lower down in a squat position. Your leg shall be off the floor. Keep the back straight. Your knee shall be pointed just in the same direction. Raise your body back and get back to your original position till your hip and knee is straight. You can continue with the opposite leg. This is a fitness workout which helps in running across the court smoothly. Regular practice of lateral movement helps in building legs and arms flexibility. You need to start just at the service line and maintain balance. Take three quick steps towards your right and touch the ground when you are on your final step. 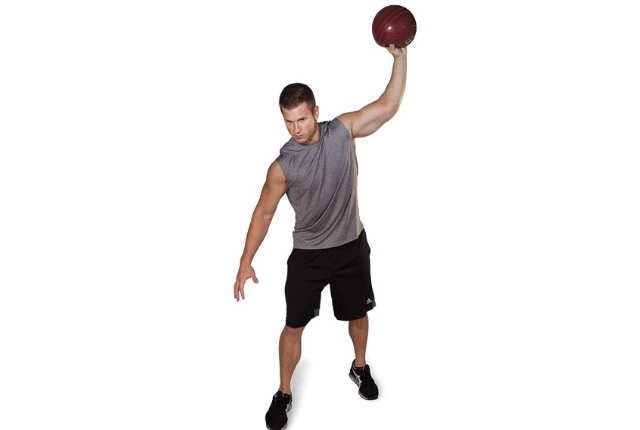 You will quickly do this same ground touch movement with your left hand. Repeat this by moving to your left side and touch the ground with your right hand, You need to do this exercise at least 20 times. In order to focus on fitness and endurance, you can reduce the speed and increase the steps count. You will need one 6 pounds or more medicine ball. The weight of the ball shall depend on your strength and weight. You need to bring this ball just over your head. You will stand straight and tight as you drive this ball down. Your feet will be just off the ground. Overhead slam is said to be one of the best fitness and strength workouts for the upper body for tennis players. You need to repeat 8 times which make one set. Do at least three sets. This is the most recommended exercises for most sportsmen as it builds flexibility and great agility. This movement helps in quick running, builds strength in thigh muscles and enhances endurance and flexibility. You can start just at the baseline. Now, sprint as quick as you are able to and then shuffle backwards quickly. You need to do these sprints with your maximum intensity. Repeat at least 10 times and then rest for next three minutes. You can do the same again. Do this workout for at least ten minutes in a day. On spot jogging is the quickest strength and power building workout for sportsmen. It can be done without the gym and any equipment. Just start at a slow rate for a minute and then speed up for the next two minutes with a minute of slow jogging again. The trick is to keep surprising your body so that it doesn’t get used to the routine or trend of your movement. This workout builds strength in your leg muscles and improves fitness level.